This winter has been kinda strange on our homestead. If you have been following me on Instagram or Facebook, you know we haven’t gotten much snow at all this season. 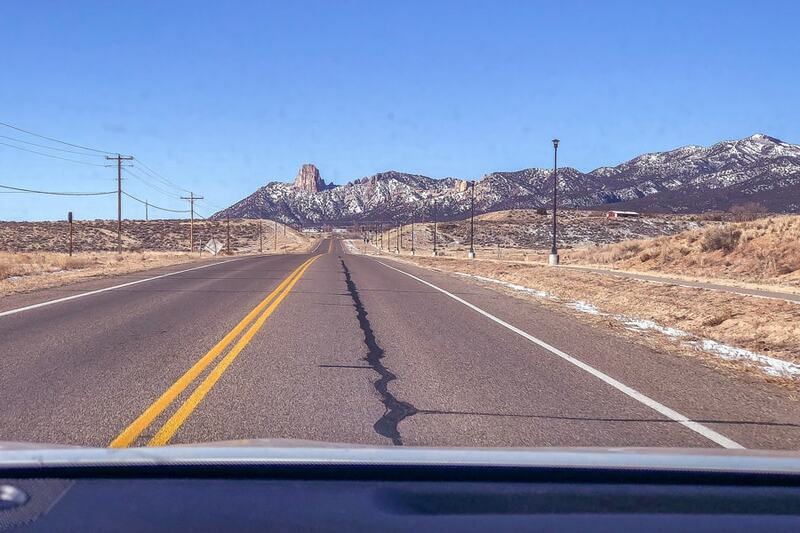 Very strange for SW Colorado. In this post, I gave you a day in the life of a homesteader during the summer. 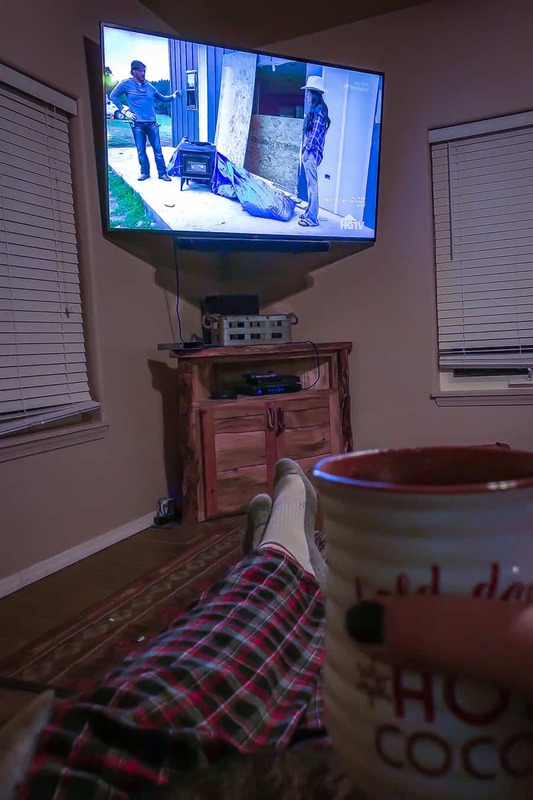 So today, I want to show you a “typical” day for me on the homestead in the winter time. Of course, it is hard to say typical because with 2 blogs, 3 kids and a homestead, nothing is really typical. Today is a normal school day, so we wake up about 6 am. I wake the boys up at 6:30am. I check emails on the computer and schedule social media posts. My husband gets ready and leaves for work about 7:15-7:30 am. The 2 older boys get up and get ready for the day. They leave to go to seminary (a religious class at our church before school) at 7:30am. The younger one gets up about the time they leave and gets ready for school. We leave to take him to school at 8:30. 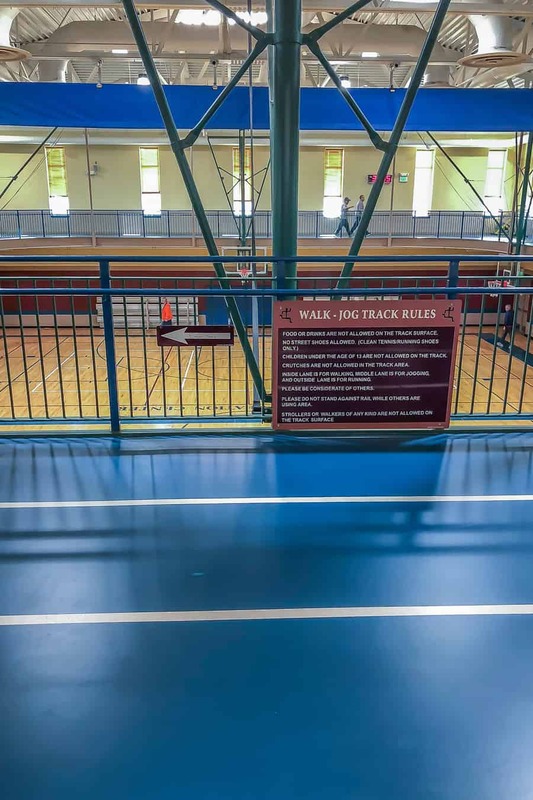 My oldest boy has just recently started homeschool, so while the middle son goes to high school (starts at 9am) after seminary, the oldest now meets me at the rec center to workout in the mornings. I love having this time with him and it has helped me make exercise a part of my daily routine. I haven’t ever really been good at that before. It is so much easier with a buddy! Usually, after the workout, I go home to shower, have breakfast and start working on blog stuff. But today, I needed to drive out to my husband’s work (which is 30 minutes away) on the reservation and take him a package he needed. So, by the time I got home it was 11 am. Forget breakfast, I’ll just have an early lunch! I recently started the Keto diet, so I am now eating low carb, medium protein and high fat. So for lunch, I just had some meatballs with ranch dressing. I check on the animals outside (the boys take turns with animal and other chores around the house so I wasn’t worried). It has been really cold outside at night, but they are doing well. We are breeding the rabbits for Easter, but it is hard to tell yet if she is pregnant. 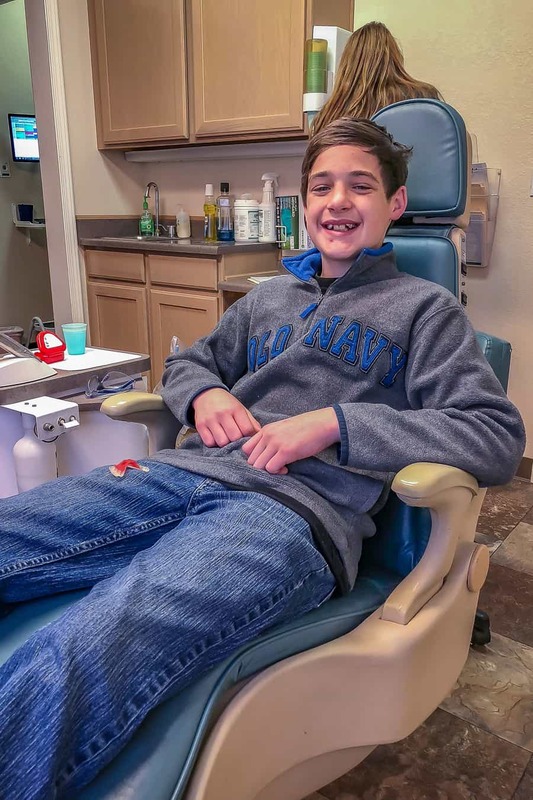 My youngest meets me at the orthodontist (he walked over from school) to get a new retainer at 1:30pm. 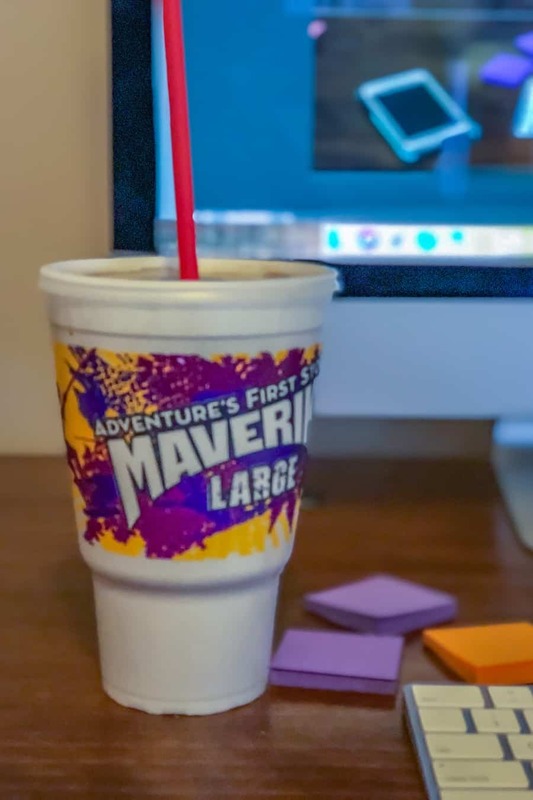 I go to the appointment, then on the way home we go to Maverik (gas station) to get a drink. I haven’t been drinking much soda lately, but I really needed a boost today! 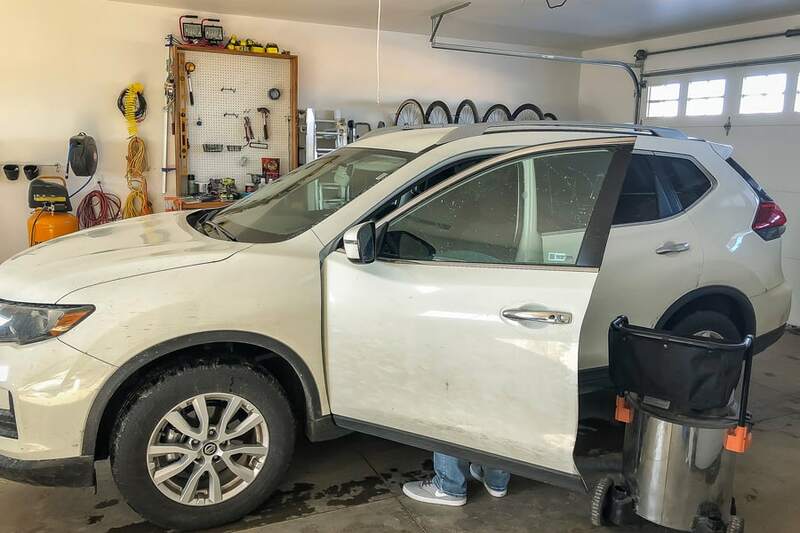 When I get home, I find out that the rental car that have been driving for over a month (I hit a deer in December with my truck) needs to be turned in today. So I have my oldest clean it out for me. I get back on the computer for an hour to try to get some more work done. At 3pm, I take my youngest (he stayed home after the appointment because it was an early release day) to a friends house to hang out. Then I pick up the middle child from the high school and we go shopping at Walmart. After an hour and buying too much stuff, we head home. I take my oldest son with me (so he can give me a ride home) to the car rental place to drop off the rental car. I hope I get my truck back tomorrow. I never dreamed it would be in the shop for over a month, but the holidays put a kink in everything. 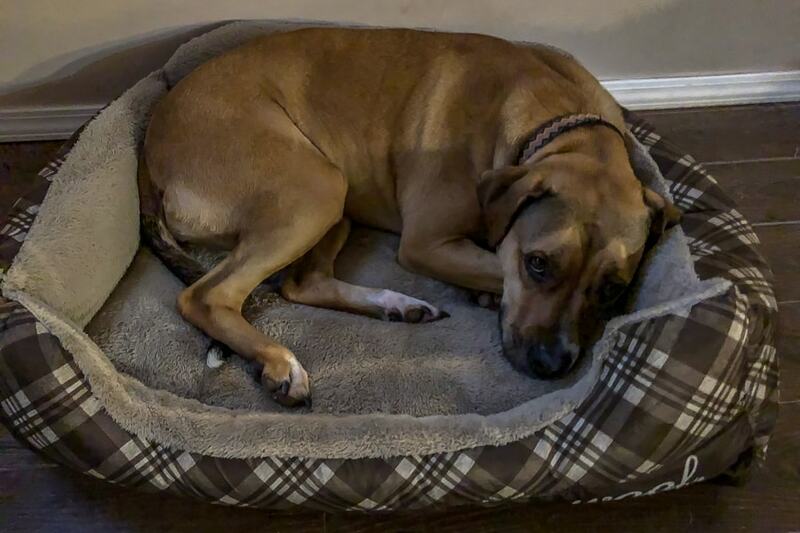 Here’s a cute picture of our dog Anna! At 6 pm I make dinner for the family. It was yummy! This was a new recipe for me on the Keto diet. It was a little more time consuming than I like recipes to be, but it was great. 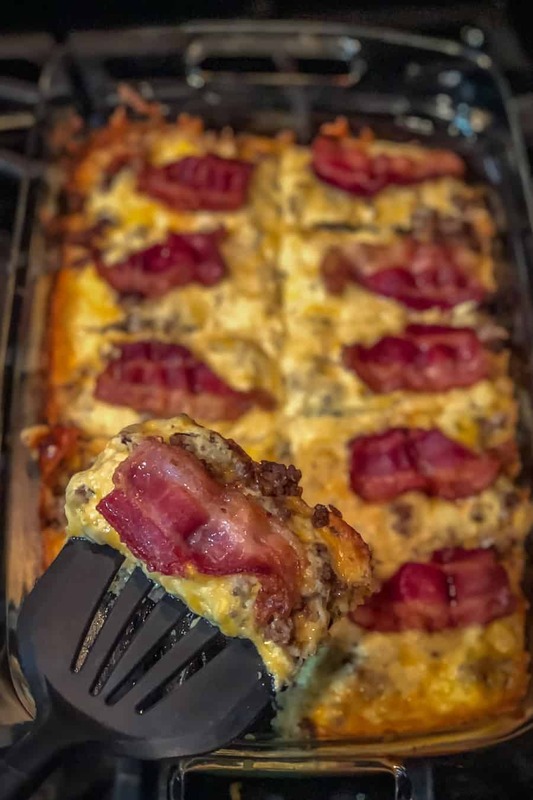 You can try out the recipe here—> Bacon Cheeseburger Cauliflower Casserole. 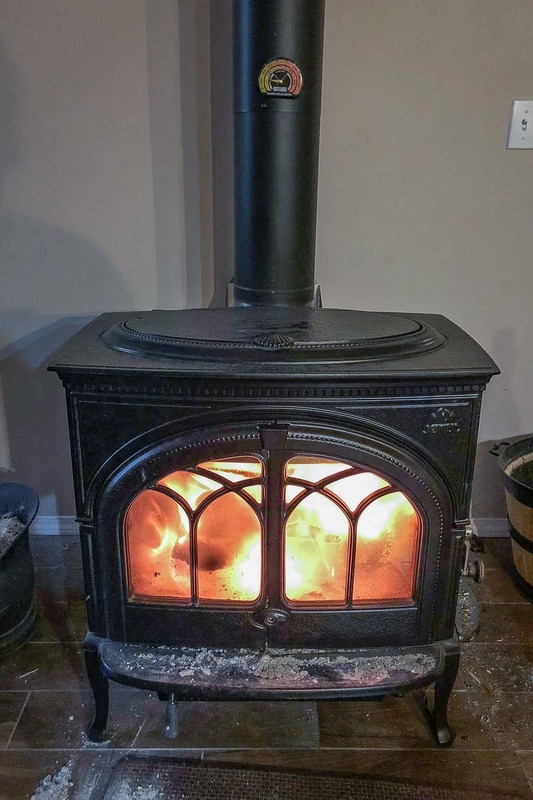 While I make dinner, my middle son makes a fire in the wood stove. Then at 7pm, my husband and kids go up to the church for Wednesday night activities. Finally, peace and quiet at the house. Maybe I’ll actually get something done now! While they are gone I work on the computer some more. Then I am ready to start quieting down for the night. 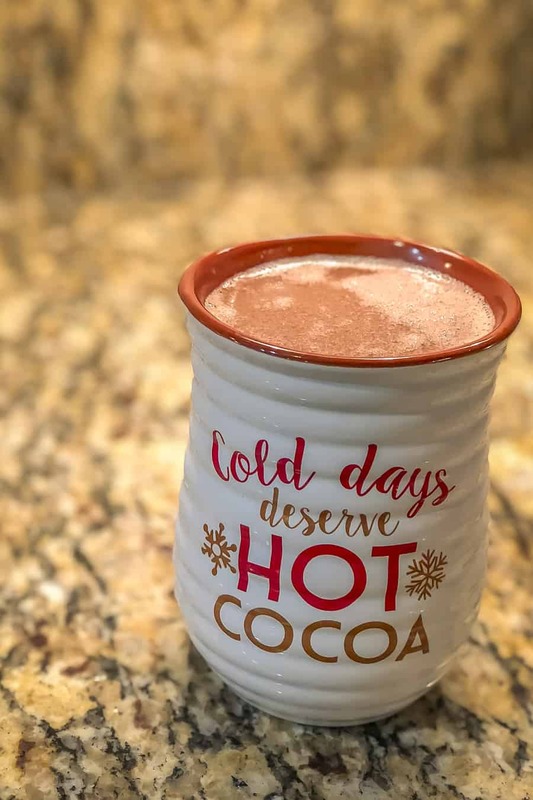 I decide to make some Keto bulletproof hot chocolate. This is my first time on this recipe too. You can get it here—> Bulletproof Hot Cocoa. I sat down to watch one of my favorite shows, yesterday’s episode of Fixer Upper. I have the cat on my lap, a hot cup in my hand and I am ready to relax! They get home about 9pm and I am feeling like I am ready to go to bed! What a day! The dog was already asleep too! We actually end up going to bed about 10pm, which is normal for us. I need my 8 hours a night to be a good person during the day! So that’s it! It was a crazy, busy, unglamorous day. Sometimes I just feel like a taxi driver, but it is a good life. I am thankful for my busy boys and this homesteader life we live. I wouldn’t trade it for anything. Thanks for coming along with me today! How is your winter going? Let us know in the comments below! Thanks! 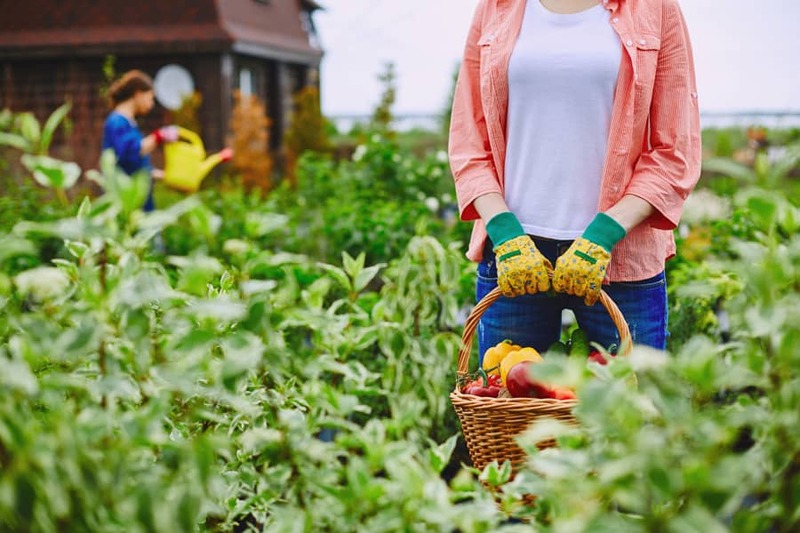 Find ways to grow your homestead with these 37 important homesteading skills you can learn during the long winter months. In the summer, we are so busy with the garden and yardwork and taking care of animals. The days fly by even though we have more daylight to enjoy. But in the winter, the days can seem to drag on. We enjoy the rest from the summer activities, but we need something to keep us occupied from thinking about the cold days. 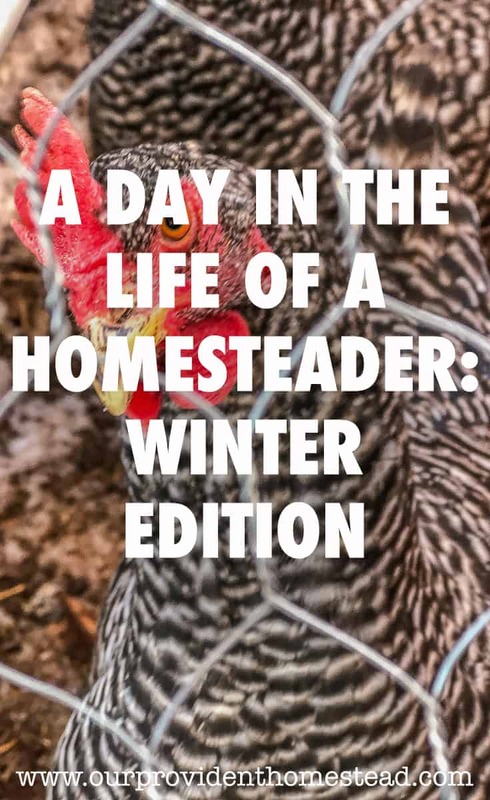 Today, I want to give you a list of things you can learn this winter to increase your homesteading skills and a link to a resource to help you master it. Most of these you can do even if you don’t have a bunch of land for a homestead yet. Bake bread- One of my big goals for last year was to learn how to bake bread. Baking your own bread can help you cut costs, monitor ingredients and just makes the house smell yummy! You can read the post here on how I did it and what recipe was the best —> Simple Bread Recipes and How They Compare. Make butter- Homemade butter is pretty easy to make, either with a mixer or just in a jar. 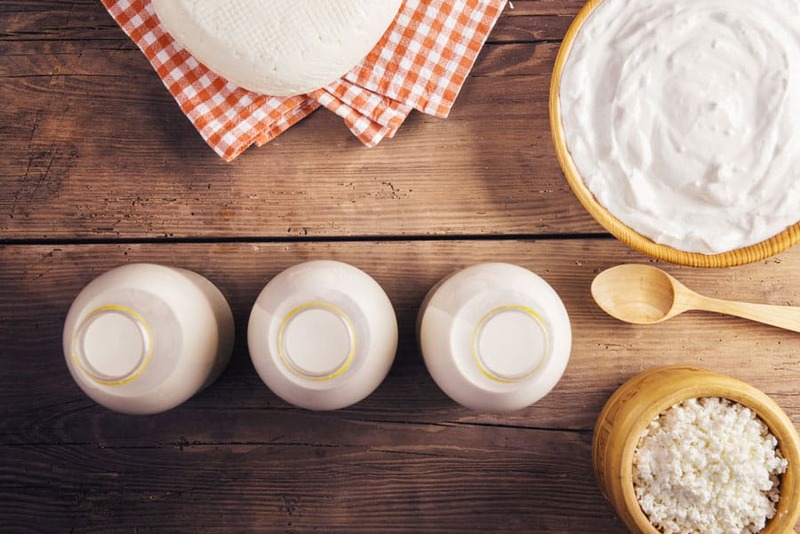 Check out this tutorial from Living Well Spending Less —> How to Make Butter in a Stand Mixer. Make yogurt- If you have an Instant Pot, making yogurt is easy! Check out this tutorial from Whole Natural Life —> Instant Pot Yogurt. Try cooking some new meals- Winter is a great time to try out some new soup recipes. If you have an Instant Pot, this post is for you —> 50 Instant Pot Soup Recipes. Order seed catalogs/seeds- Seed catalogs are like a breath of fresh air in a long winter. Once you plan your garden, you’ll want to look through catalogs or online to see which varieties you want to plan and then order your seeds. In this post we discuss seed catalogs and why we still need them —> Seed Catalogs: Do You Need Them? Start seeds indoors- Once you get those seeds in the mail (or if you have some left from last year), it is time to start those seeds indoors. Tomatoes and peppers are the best candidates for starting indoors so that they have time to get big before spring. In this post, I give some tips for seed starting —> Seed Starting for an Abundant Harvest. Canning Your Food- Do you have food in the freezer that still needs to be canned from the harvest? Winter is a great time to do this because you aren’t as busy as you are in the fall. In this post, we discuss canning methods and tips to make your canning a success —> Food Preservation Series #2: Canning Your Food. Knot tying- Not just for boy scouts, knots can come in handy in a survival situation. Check out this post from Thrifty Outdoorsman —> Top Knots Every Outdoorsman Should Know. 72 hour kit- In an emergency situation, a 72 hour kit is essential. Check out this post from Simple Family Preparedness —> The Best Food for Your 72 Hour Kit. Food storage- Winter is a great time to organize and buy your food storage. 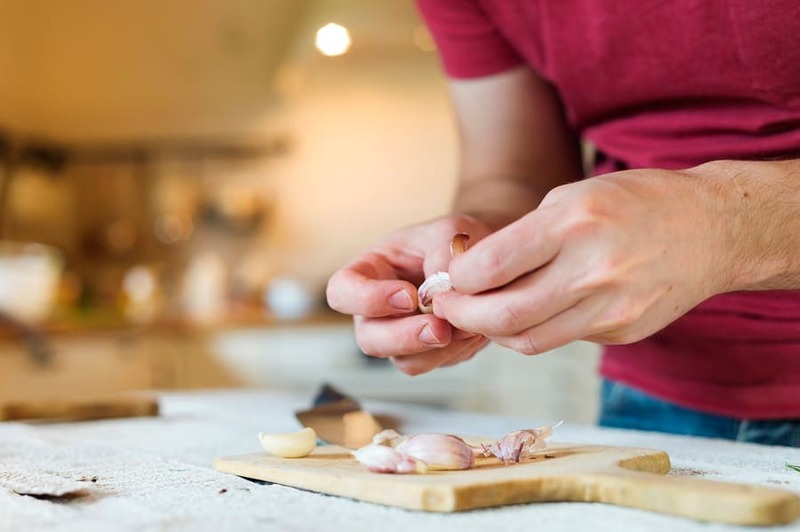 This post will help you get ideas on how to get started —> Food Storage Tips To Get You Prepared. Basic first aid & CPR- The winter time is a great time to take a first aid & CPR class. 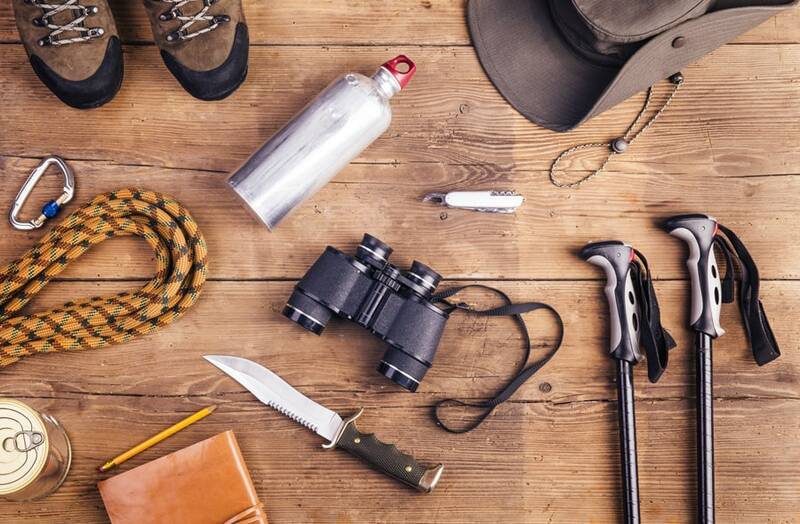 Check out this post from Beyond the Tent —> Wilderness First Aid Basics: Surviving Injuries in the Outdoors. Make soap- Homemade soapmaking is a skill that may take some time, but there are so many varieties you can make. Check out this tutorial from DIY Projects —> How to Make Soap at Home. Make candles- Making homemade candles is one of those things that isn’t as hard as it looks. This post will help you get started with homemade beeswax candles —> The Newbie Guide to Making Homemade Candles. Sewing- Sewing is an essential homesteading skill. 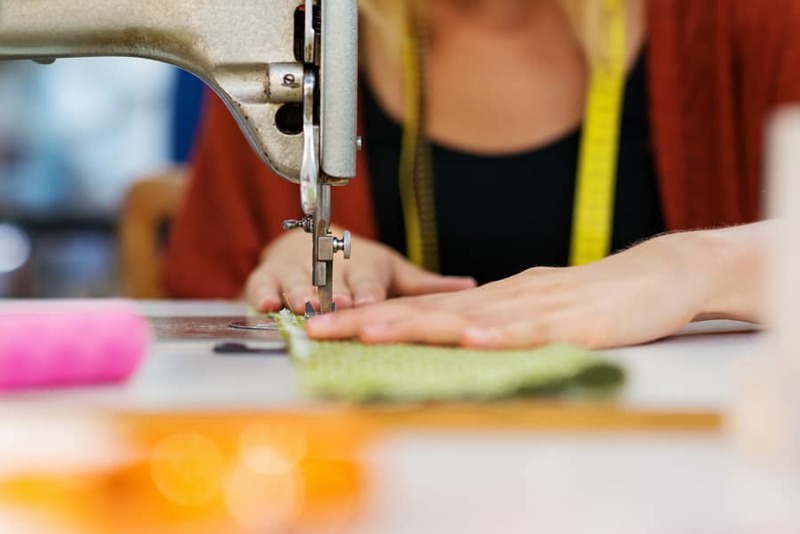 Whether you are mending clothes or making larger items, sewing can save you alot of money. 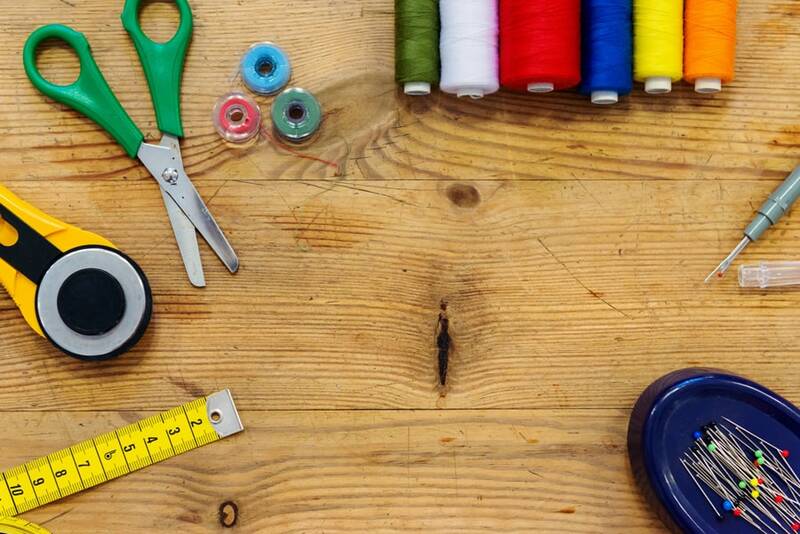 Check out this post for easy sewing projects from Cool DIY Ideas —> 20 Easy Sewing Projects for Beginners. Homemade beauty products- Many of the beauty products you can make at home are so much better for you (and cheaper) than what you can buy at the store. Check out this post for some ideas from The Country Chic Cottage —> Handmade Beauty: Make Your Own Beauty Products. Knitting & crocheting- Do you need something to do with your hands while you are watching tv? Knitting and crocheting might just do the trick! Check out this beginner knitting tutorial from Faithful Provisions —> How to Knit: Get Started Knitting. Quilting- What better way to keep your family warm and cozy than by a large quilt you made yourself? Check out this beginners quilting tutorial from The Gracious Wife —> Quilting for Beginners: 5 Part Series. Organize your pantry- Getting your pantry organized can help you from having food go bad that you would have eaten if you knew it was there. Check out this post from Decorating Your Small Space —> 10 Ways to Organize Your Pantry. 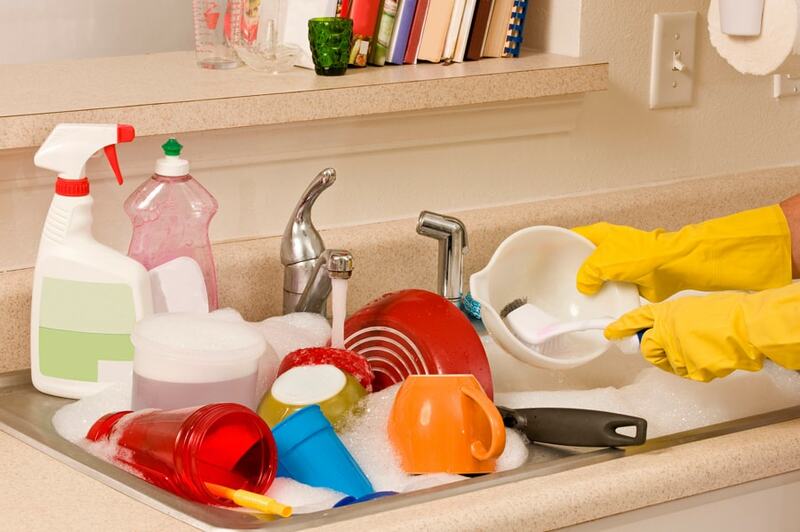 Declutter your house- Many people have New Year’s resolutions to declutter their house. If you feel like that would help you and your family, check out this tutorial from Setting My Intention —> 10 Lessons Learned after a Year of Decluttering. Make laundry detergent- Homemade laundry detergent doesn’t have the chemicals a store bought detergent has and is cheaper too. Check out this tutorial from Love and Laundry —> Premium Homemade Laundry Detergent. Carpentry- Do you need some new furniture in your house but don’t have the money to buy it? Learning basic carpentry skills can save you tons of money and can give you a great sense of accomplishment when you complete a project. Check out this tutorial from Pioneer Settler —> Basic Carpentry Skills Guide for Homesteaders. 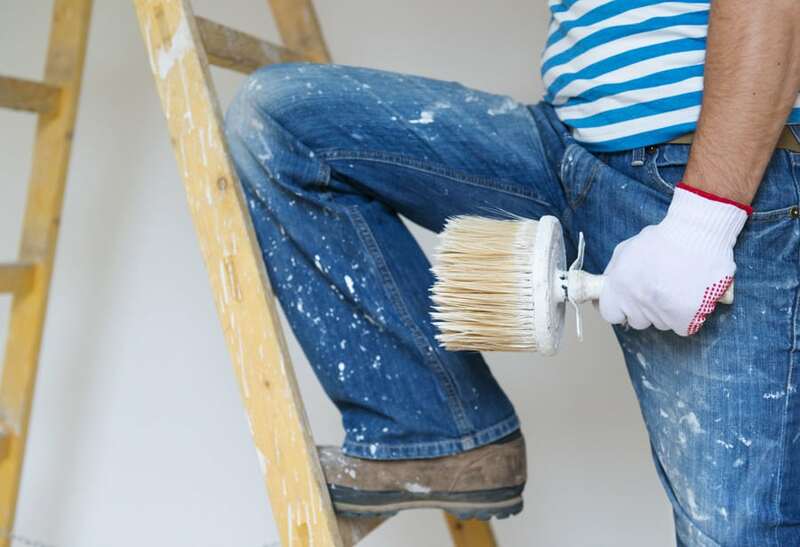 Home remodeling/painting- Do you have home repair or decorating projects that you need to do? Check out this post about painting tips from Popular Mechanics —> 14 Painting Secrets the Pros Won’t Tell You. These last 5 aren’t things we need to learn, but rather things we can do to enjoy the winter and slower pace of life. Read a book- I love to read books in the winter. From the Little House on the Prairie series to homesteading books like Welcome to the Farm. Reading by the fire with some hot cocoa is the best way to spend a cold afternoon. Catch up on a tv show- You might not have time to watch your favorite show in the summertime, so now is a perfect time to catch up. 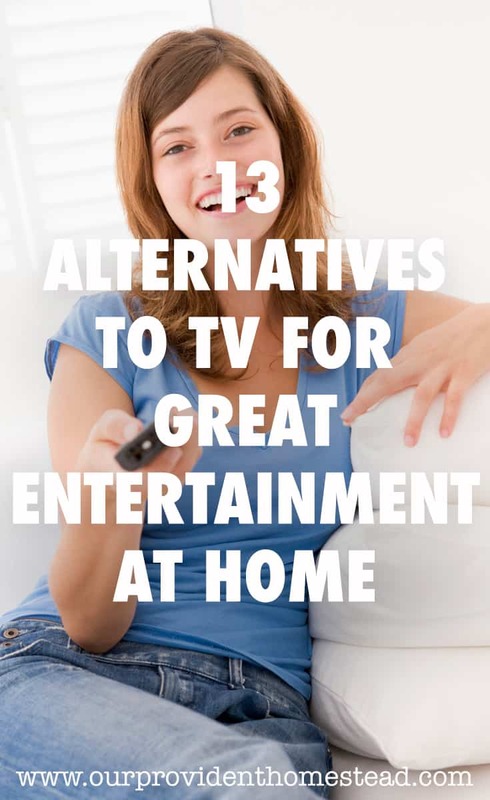 If you don’t have a dish or cable, here are some great ideas —> 13 Alternatives to TV for Great Entertainment at Home. Take a long bath– Spoil yourself a little with a long bath and some candles. Soften that dry winter skin and relax. Visit with a friend- Do you feel like you have been so busy on the homestead that you haven’t had a night out with friends in forever? Winter is a great time for catching up with our friends (and family). Those relationships are important and we don’t want to lose them. Well, that’s it! Does that help you get to thinking of things you can accomplish this winter? I hope so. Want to remember this? 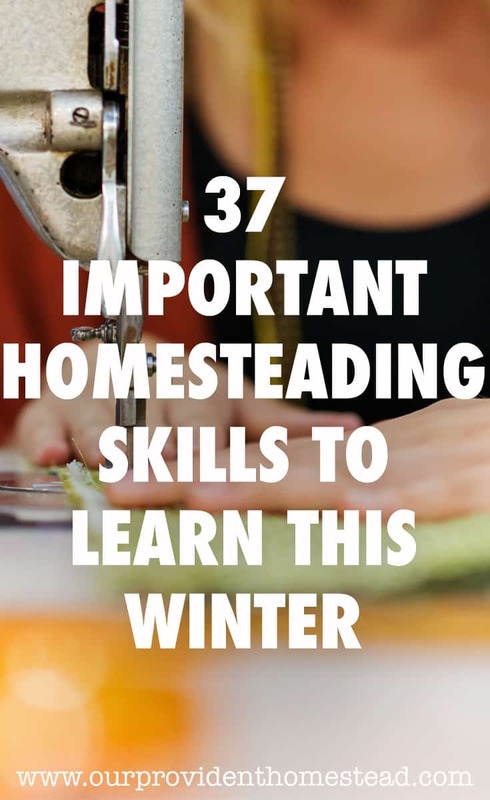 Save the 37 Important Homesteading Skills to Learn This Winter pin to your favorite Pinterest Board! What things are you doing this winter? Let us know in the comments below. And if you found this post helpful, please share. Thanks! I love reading other homesteading blogs. I love to see what others are accomplishing in the homesteading community. In this post I listed my top 20 homesteading blogs of 2017. While several of these blogs are on the list from last year, I want to introduce you to a few awesome blogs I have found since the time I wrote that post. Shaye @ www.theelliotthomestead.com wrote an awesome book called “Welcome to the Farm” in addition to her 2 Table Books. Her blog is fun and informative with great photography as well. She just got a show on Food Network called “Homestead Table” which was really good. Jill @ www.theprairiehomestead.com is a fun writer with a vast amount of knowledge when it comes to homesteading. She has written several e-books about natural homesteading and enjoys using essential oils often in her homestead. Quinn @ www.reformationacres.com has a very informative and beautiful blog where she talks about homesteading life. She also has an amazing Etsy shop where she sells homemade goods and products. 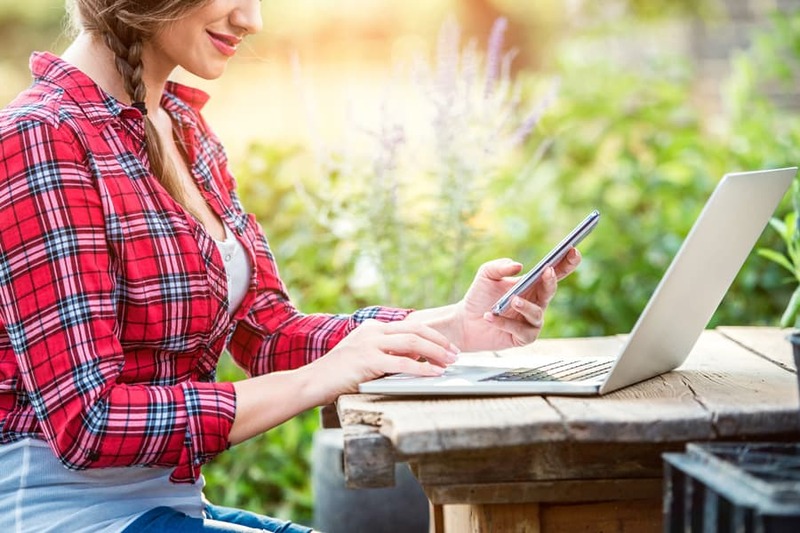 She also recently developed the Smartsteader App that helps you keep track of homesteading expenses and production. Melissa @ www.melissaknorris.com runs a blog, podcast and Academy that shares her wealth of knowledge on homesteading topics such as gardening, animals and preserving food. I love Melissa’s blog and Facebook videos that are so instructive. She recently published her 2nd book: Handmade. Danielle @ www.therusticelk.com writes her blog to inspire others to homestead, even as she is struggling to find her own ideal homestead. Tiffany @ www.imperfectlyhappy.com shares her triumphs and struggles about homesteading, homeschooling and everything she is learning along the way. 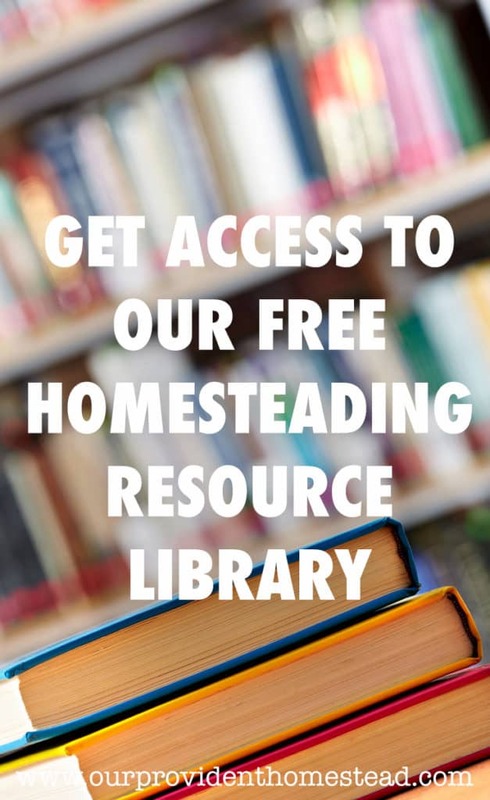 She also posts a weekly list of free kindle books on homesteading topics. Jessica @ www.104homestead.com has a wide variety of homesteading topics on her blog, but she seems to love her goats the most. She also has written several helpful e-books. 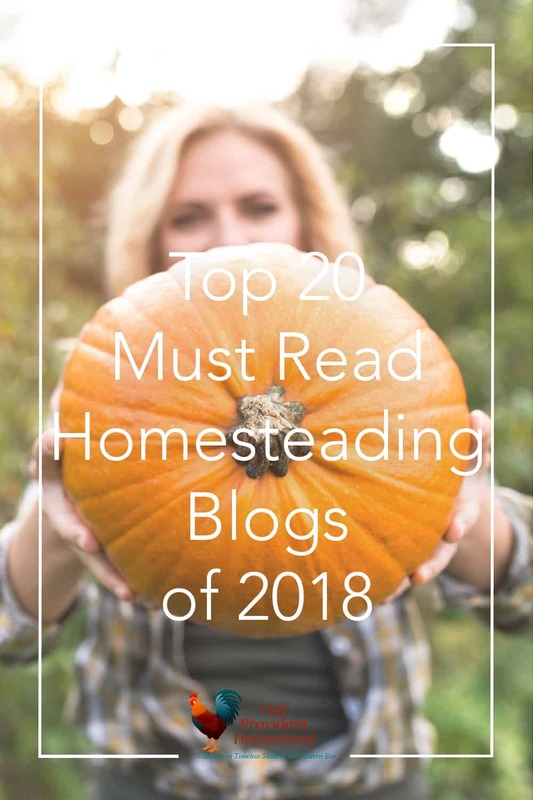 Riley @ www.homesteading.com writes and edits this magazine type website that also has other contributors for a well rounded view of homesteading. Kris @ www.attainable-sustainable.net shares her triumphs and struggles of her homestead in Hawaii. 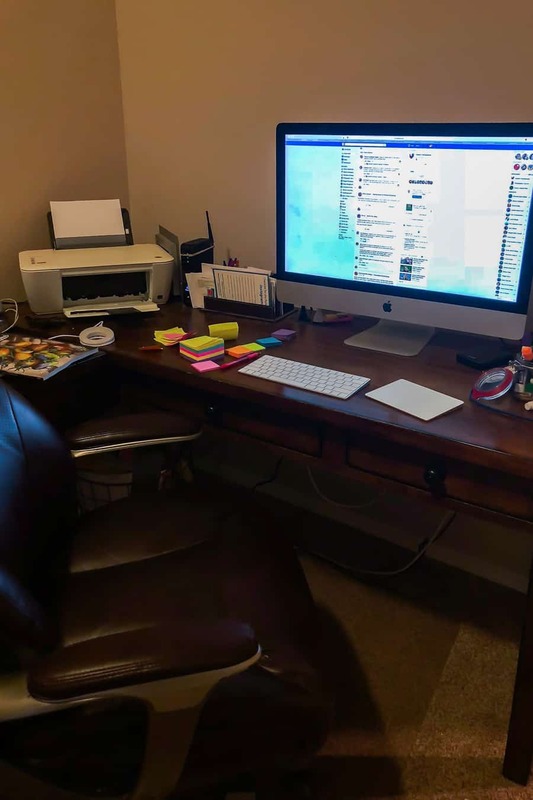 Tracy Lynn @ www.oursimplehomestead.com helps her readers do what she and her husband did-get out of the rat race and back to the simple life on their homestead. Laurie @ www.commonsensehome.com discusses homesteading, gardening, home remedies and health in her informational blog. She also has written e-books about these topics. Marjory @ www.thegrownetwork.com is very knowledgeable about the homesteading lifestyle, but also emphasizes non traditional health and healthcare information. She sells several DVDs and online courses. Lisa @ www.fresheggsdaily.com loves to talk about her chickens, but she is so much more than that! She has a tv show, several books and makes appearances around the country speaking to people about raising chickens. Danielle @ www.weedemandreap.com has transformed her life and diet by growing her own food and raising her own animals. She does this on a one acre urban farm. She also has some great videos on homesteading topics on her YouTube channel. Dana @ www.piwakawakavalley.com is a homesteader in New Zealand. And not only does she do all the homesteading stuff, but she is also a homeschooling mom of 3 and is a weekend nurse. Amazing! Tracy Lynn @ www.simplelivingcountrygal.com is a goat and gardening lover. She is a city girl turned homesteader just like me! We actually met at a conference this year and it was so fun! Amy @ www.thefewellhomestead.com is an author, blogger, homesteader and the founder of Homesteaders of America. She lives in Virginia and blogs about homesteading, homemaking and being a Christian. Maat @ www.thefrugalchicken.com is an authority on backyard chicken keeping and homesteading. She has been featured in several media outlets and has a YouTube channel. Staci @ www.achickandhergarden.com shares her homesteading journey as she learns how to raise chickens, grow a garden and much more. Michelle @ www.soulyrested.com has a great philosophy on homestead learning and failure. She is also really knowledgeable about maple syrup and how to get your hands on it. A little birdie told me her book, Sweet Maple, will be on book shelves in Oct. 2019. How exciting! These blogs have given me instruction and motivation over the years. It is always fun to see what others are doing that are similar to what you are doing. Supporting others in their homesteading journeys is a priority of mine. Some of these bloggers have been my mentors when I was just learning homesteading. But no matter if they are new or old, each has an unique voice that can help their readers move forward. 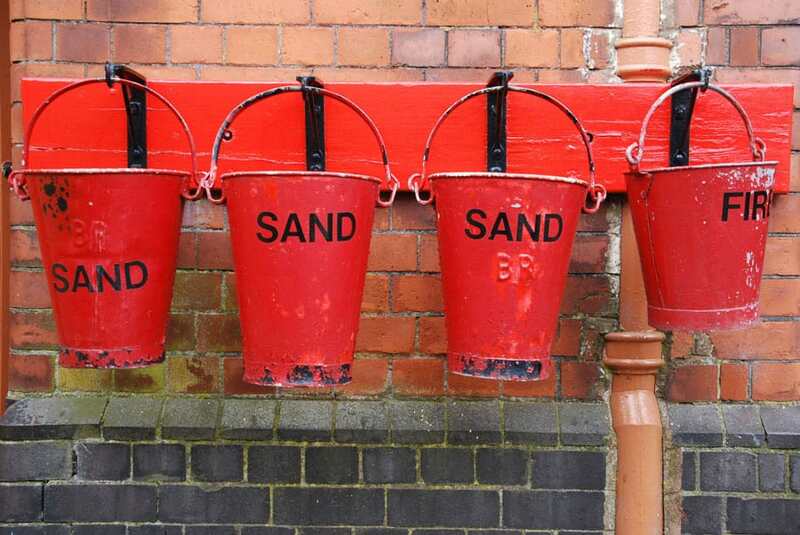 Is your favorite blog on the list? Let us know in the comments below. Thanks! I love to set goals. I really geek out on making new year’s resolutions and plans for the new year. In this post, we discussed the things that went right and wrong for our homestead in 2017. It definitely was a busy and sometimes frustrating year. We accomplished some goals such as starting beekeeping and increasing our garden size. We also had several setbacks, such as predators eating chickens, late freeze on the orchard and our beehive being knocked over by an animal. So the new year is a time to start over and access what we want to accomplish for the next 12 months. We would like to increase the overall size of the garden and the number of varieties of plants we are growing. We would like to build a separate raised bed area for a salsa garden (tomatoes, peppers, onions, cilantro, etc). We would like to be successful in starting heirloom variety tomatoes from seed (in the past they haven’t gotten big enough to plant in time). We will replace the beehive we lost and add another hive for a total of 2 beehives. We would like to raise 52 meat chickens (one a week for a year) without all of the problems we had this year. We would like to begin breeding our meat rabbits and keep them on a regular breeding schedule. I would like to learn how to make a blue jean quilt and complete the quilt in one year (I tend to leave these kind of projects half done). I would like to learn how to make homemade candles (probably beeswax or soy). I would like to learn how to make several different kinds of soaps. We would like to get back to a real food diet. We have relaxed in our eating habits at the end of this year. I would like to lose 50 lbs over the year (less than one pound a week). I would like to atleast exercise 4 days a week. We need to increase the number of foods we are preserving. I would like to learn how to braid and store the garlic we planted this fall. I would like to find new recipes for canning to shake things up a bit. We need to buy more large containers for water storage. 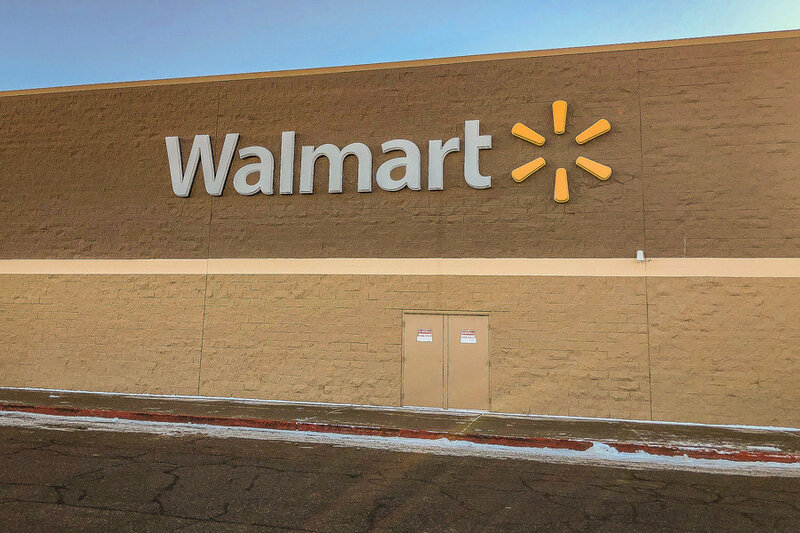 We would like to get 6 months complete food storage ready. We would like to have a successful hunting trip (preferably elk) and have me and my youngest son get our hunter safety certification. I don’t anticipate we will have any big changes in our homestead next year. Mostly, we plan on perfecting and building on the systems we already have in place. More efficiency and production will be the main goals in the new year. We have space and the ability to grow with what we have, so let’s get it done! When you look at the new year ahead, have you set any big goals? Experts say that by writing down your goals, you are more likely to achieve them. So I encourage you to look at the big topics I have listed above and try to set some goals for next year. No matter where you live, you can live within the homesteading ideals and move forward. Do you have any big plans for your homestead next year? We would love to hear about them in the comments below. Thanks! Sometimes being a homesteader can be lonely. 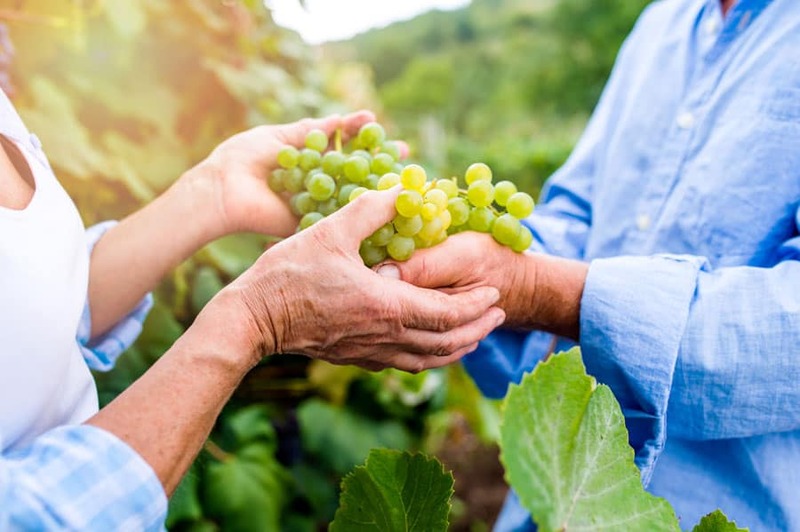 Whether you live in the country, isolated from the world or in the city where no one understands your dreams; homesteading can get hard if you don’t have a support system. Having an in person support system is best. If you have a spouse, family or friends that get your goals and dreams, that is awesome. We need that help and appreciation for homesteading skills that can sometimes be hard. 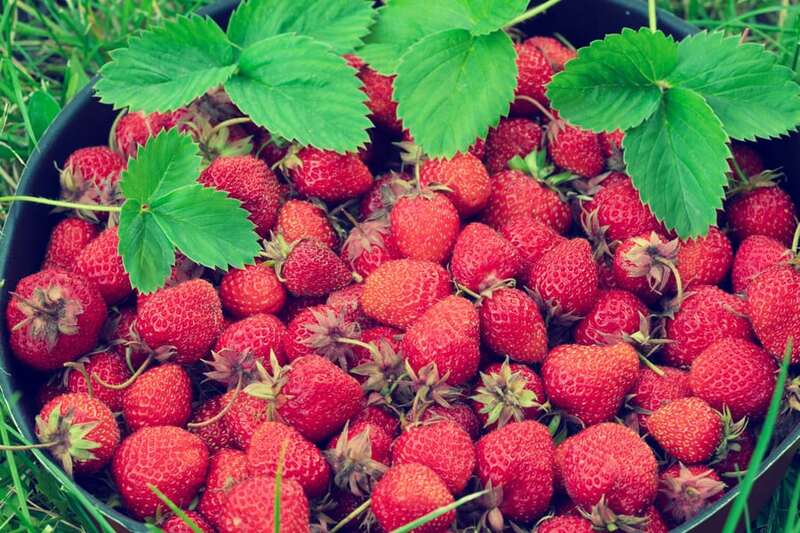 It’s hard to grow and preserve your own food instead of going to get it at the grocery store. It’s hard to raise animals, especially in the winter where it seems like all you are doing is giving without receiving anything in return. It’s hard to live within your means when you see so many others that are maxing out their credit cards for Christmas. So how do we find people that understand what we are going through? One way is through Facebook groups. Now I know, some of you are going to say that social media is bad and that you shouldn’t waste your time. And you would be right. Social media can make you crazy when all it seems people do is talk about politics and make negative comments about each other. But Facebook can be a great tool to use to find people (around the world) that have your same beliefs and goals. When you feel isolated (by geography or ideals), Facebook groups can be a great place to ask questions and get feedback from people that understand you. 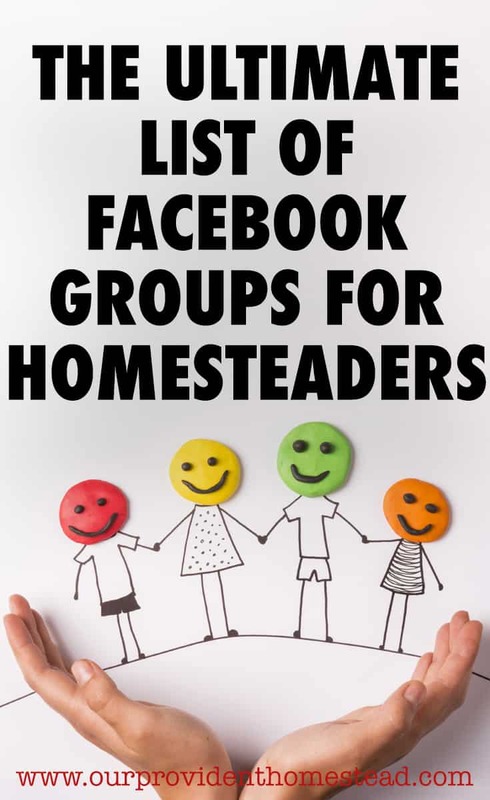 So today, I just wanted to make a list of Facebook groups that I am aware for homesteaders and homesteading topics. I want this to be a helpful resource to find help on the topics you need and find community online. So without further ado, let’s get started. Provident Homesteading– This is the group I run for this blog. This group discusses homesteading topics, including but not limited to: gardening, raising animals, homemaking, emergency preparedness and healthy living. The Homestead Front Porch– The official Facebook Group for The Modern Homesteading Podcast. This is a gathering place for folks who want to kick back, grab a coffee, iced tea or lemonade and discuss all things homesteading. Share articles, ask questions, share your homesteading pictures or just hang out and have fun. Homestead Homemaking– This group is a CHRISTIAN BASED group about HOMEMAKING. Homemaking includes house cleaning, home keeping, motherhood, marriage, gardening, skillsets, and building relationships (and all of the emotions you go through while doing it). Backyard Butchery for Homesteads and Sustainability– Welcome to Backyard Butchery for Homestead and Sustainability. be courteous and all will be well. Chickens, Chickens, Chickens– This group is for those who raise chickens for eggs, meat or/and pets. We don’t discriminate. The goal is to learn and share and be apart of a community of people who have a common interest in chickens as well as other poultry. Instant Pot Community– Here you can interact with the international community of Instant Pot users to ask questions, post unique recipes, get useful tips and generally share the joy of cooking with this revolutionary multi-cooker. Instant Pot Cooks (All Pots Welcome)– Welcome to our group! We are a “learning/teaching” group for electric pressure cookers, and will do our best to answer your questions! Please keep all posts related to this topic. Farming and Homesteading in Southwestern US– This group is ONLY for members in the Four Corners Area of the Southwestern US who like to share or learn any information about farming or homesteading. 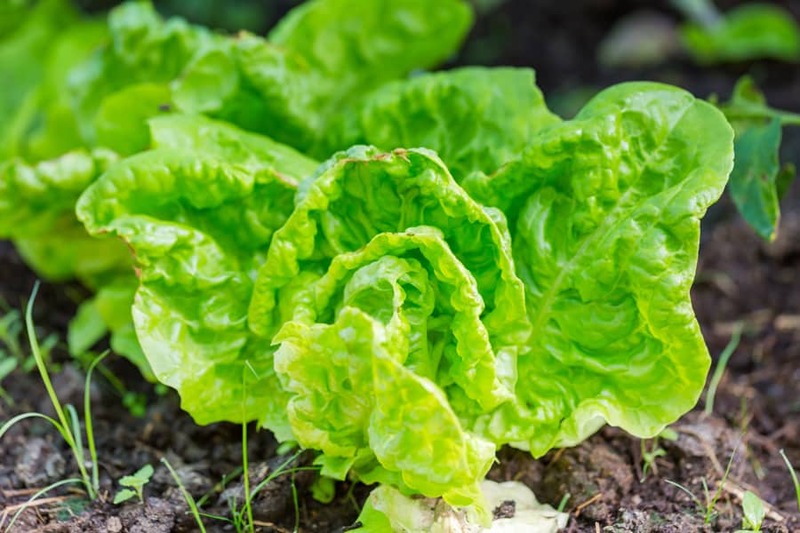 Homesteading and Gardening– Homesteading & Gardening is a place where you can share your journey in gardening, raising livestock or even sharing your recipes. 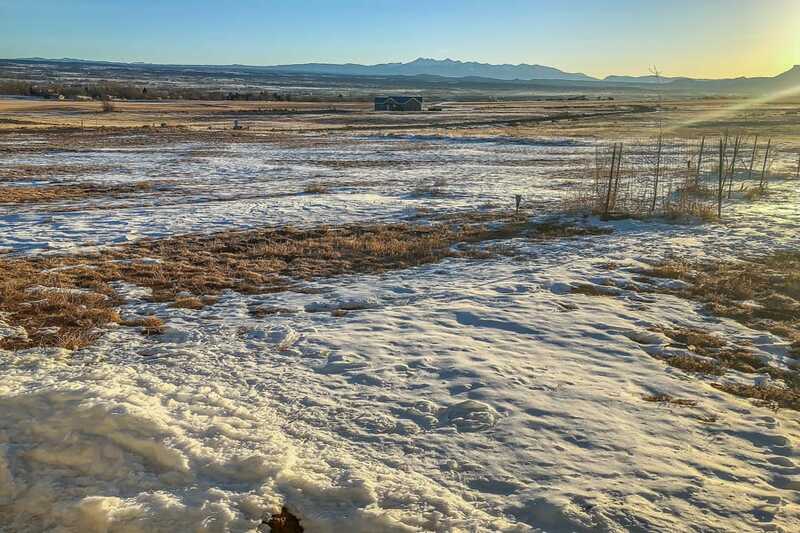 Homesteading– This group is for off the griders, alternative energy enthusiasts, and back to landers. It is for lovers of self sufficiency, ecology, natural environments, and minimal impacts. Homestead & Heritage Cooking — This encouraging community, run by Jill Winger, of The Prairie Homestead, and Michelle Visser, of SoulyRested, is a perfect place to gain amazing new (old) recipes and talk all about traditional ways of making food from scratch. This list will include the group’s name, link and posted description. The Round About Farm– Personal Blog that shares our journey from Suburban Life to Life at Round About Farm. Homesteading, Homeschooling, Shipping Container Home, Animals, and so much more. Modern Homesteading has nothing to do with how much land you own. Homesteading is a way of life, a mindset. Homestead Anywhere is here to support, encourage and inspire you on your journey to self sufficiency and self reliance. Join us today. OHH Homesteading Community– Welcome to our homesteading community, whether you live on an urban homestead, a farm or ranch, or just wish you could. Simple Living and Modern Homesteading Community– A community of helpful messages and support for those looking to navigate the world of simple living and modern homesteading. From-scratch recipes, helpful hints, frugal living ideas and much more. This group is open to any kind of “homesteader” whether you live in the big city or in a rural area. Rose Hill Homestead– Embracing a suburban homestead lifestyle for over 30 years! Chickens, rabbits, gardens, canning, cooking, baking, soap making, sewing, knitting, crochet; it all keeps us very busy. Former owners of Woodhaven Soaps, a company we retired after five wonderful years. Mamas on the Homestead– Mamas on the Homestead is a brand new group (as of May 2017) with the purpose of bringing together homesteading mamas for sharing ideas and offering encouragement. 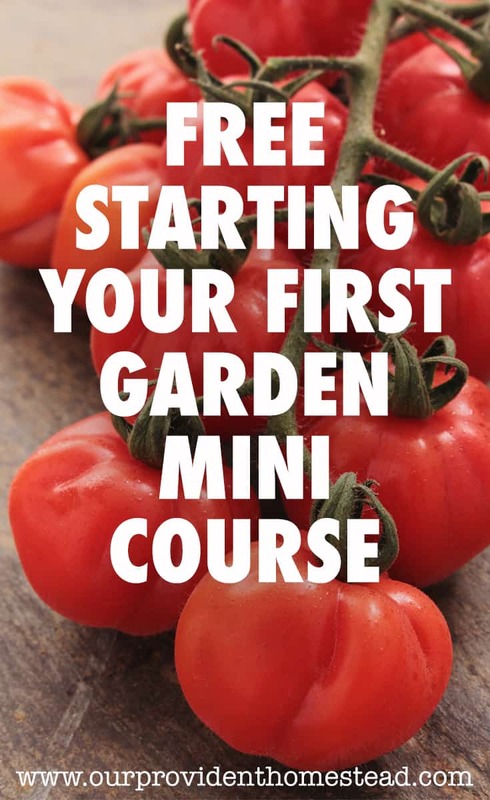 Plain and Simple Recipes, Gardening, Canning, Preserving & Crafting– This is a group for like minded people that like vintage ,recipes, gardening, canning , preserving and crafting. ?This is a group for frugal homesteading, not wealthy “gentleman farmers”. We welcome active homesteaders as well as planners and dreamers.
? Here we can share information on all aspects of farming our homestead in the least expensive way possible. Small Acreage Sustainability & Homestead Living– This group was created with the intent of connecting people who are interested in the Small Acreage, Sustainability & the Homestead lifestyle, craft sharing, off grid living, backyard and container gardening & small livestock operations. Old Paths to New Homesteading & Self-Reliant Living– This group was formed to join like-minded people who are living the Homesteading Dream or desire to begin the journey. We are salt-of-the-earth people who value a handshake and still consider a man’s word is as good as a contract. We believe in being good stewards of the land and we harvest our own food. Essential Homestead Community– A group to share our homesteading, homeschooling, essential oil, canning recipes and more. A place to grow and learn from each other. I hope you’ll participate and invite other homesteaders. Sonlit Acres– We live on a small southern Vermont Homestead. We raise Chickens for pastured Eggs and meat, along with Cattle and pigs for our own use. We also raise a very large garden which we preserve annually. 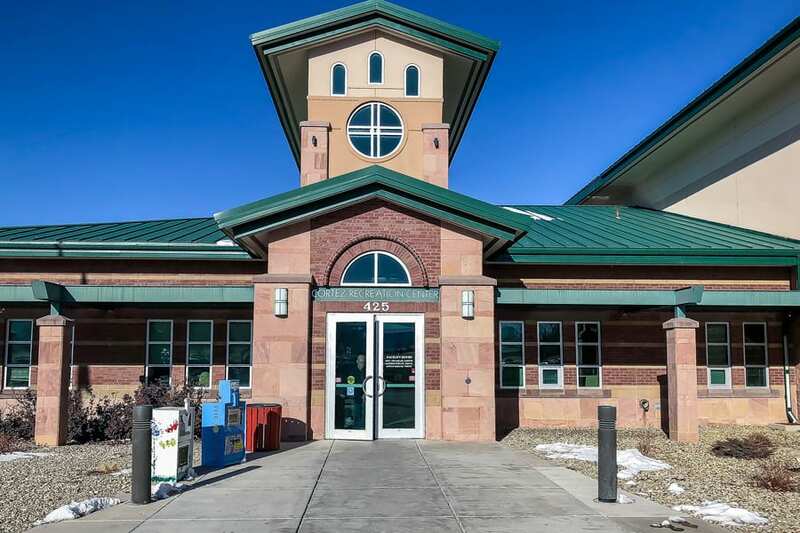 Returning to more simplified living is not the easy way out as many think it is. It requires work and many times long days in the fields or woods. Join us here and visit about your adventure as we continue in ours. Self-Sufficiency Homesteading, Off Grid Living and Survival Prepping– Welcome, all who live lifestyles of, and those who want to learn more about Self-Sufficiency, Homesteading, Off-Grid,Survival, Prepping, Frugal Living. Livestock, Foraging, Bush crafting, Carpentry, Gardening, Cooking, Canning, Preserving and Storing Food. 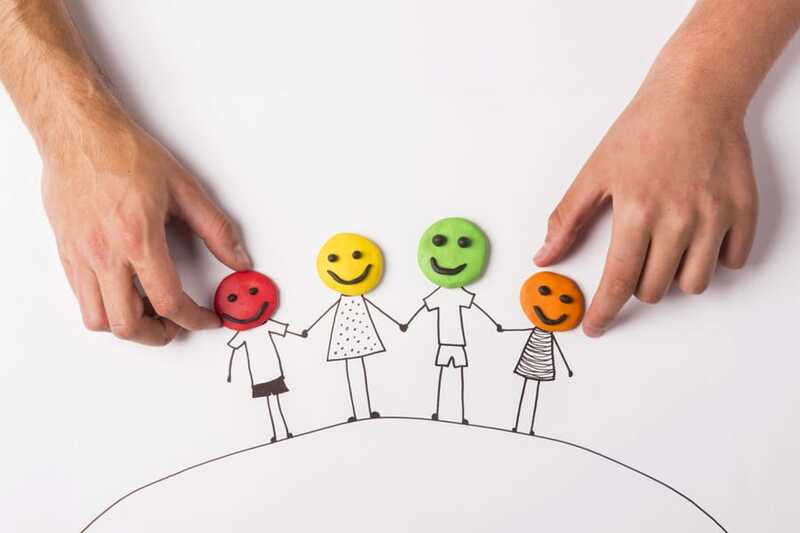 DIY, Home-making, Crafting, Natural Health.This group is moderated to maintain a friendly, encouraging atmosphere where we can share and learn from each other.We encourage other to share this group with like minded others. Chicken Chat– This is a group for all things poultry! New and veteran chickens owners can come here to share pictures (yes please!) discuss chicken matters, and find solutions to any problems you may have. American Guinea Hogs– Guinea Hogs are a small breed of hogs, much smaller than standard hogs. Guinea Hogs will reach their full size at about 2 or 3 years of age, topping out at approximately 175 to 275 lbs…..a perfect size for the small farm, hobby farm or homestead. They are noted for their small size, intelligence, docile and friendly temperaments, and their ability to produce outstanding meat and flavorful lard on basic pasture and forage. Scott’s Backyard Chickens– Welcome to Scott’s Backyard Chickens. This is not a ‘pet only’ chicken group. If that bothers you, don’t click the join button. There are members who keep pets and those who keep livestock, respect each other or you’ll be removed. 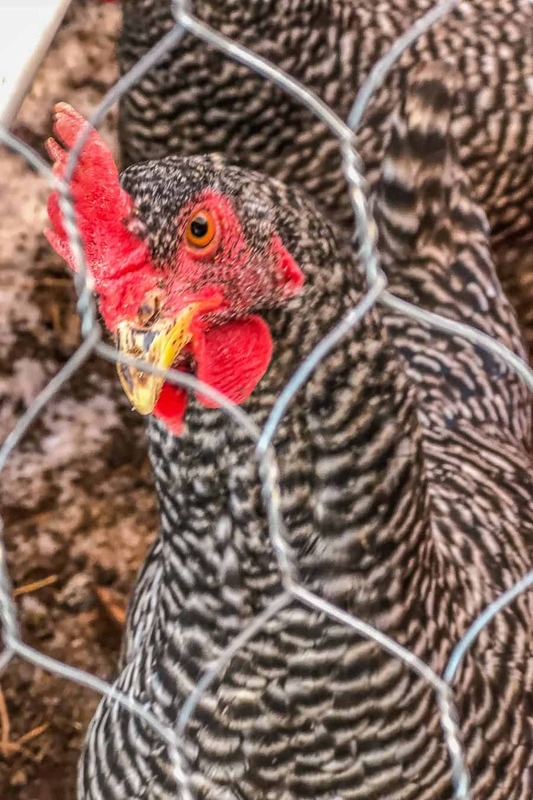 Backyard Chickens– DRAMA FREE, safe page, family friendly, clean language, and CHICKEN related forum for those of us wanting to learn more about chickens and share our knowledge of chickens. Barnyard Chickens and More– All about Chickens and other barnyard animals and having fun and more. But I will warn ya, the barnyard is very addictive. We have a blast and a lot of nice folks with no Drama. Chickens, Chickens What the Cluck– This group is for beginners who have questions and experienced who might have the answers to anything chicken. Rabbits 4 Sale, Questions and Talk– This is a group to sell rabbits, or ask questions. If you put a rabbit up for sale it needs to have its location (state and city) and it’s price. This is a no drama tolerated group so let’s all act like adults. The Pet Rabbit Advice Page– A group set up for rabbit advice that welcomes pet owners and hobby breeders alike. Whether you have a beloved pet rabbit, are breeding as a hobby or to show, you are very much welcome here, as long as you respect the views of others and are not rude to other members. Angora Rabbits– Discuss the cutest rabbits of all, Angora rabbits! Spinning, breeding, genetics, care, and environment; all subjects welcome. We share information about English Angora rabbits, French Angora rabbits, Giant Angora rabbits, Satin Angora rabbits, and German Angora rabbits. Meat Rabbits for Beginners– This group exists to help educate people getting started raising rabbits, show rabbits or pets.There are just a two of us who take care of the site and answer questions. To make this work for everyone we have a few rules. 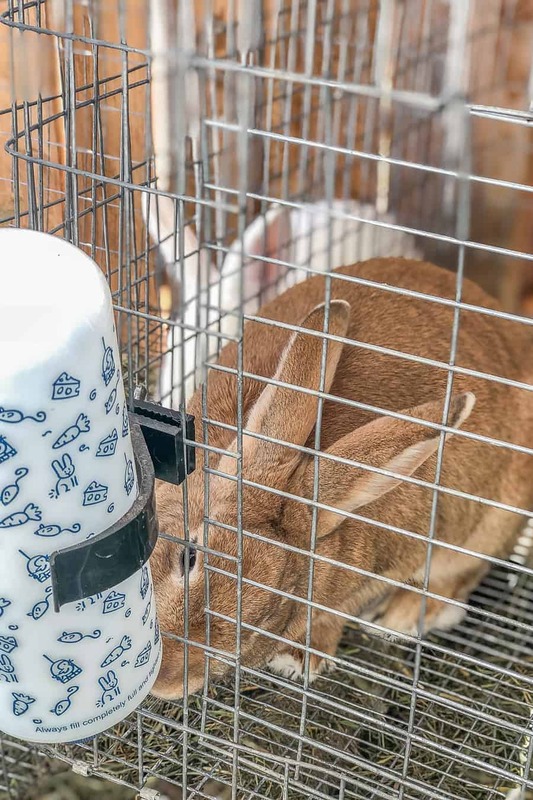 Meat Rabbits in Colonies– This group shares knowledge of methods for raising rabbits in communal structures referred to as rabbit “colonies”. This group also shares images and engages in discussions of the death and dismemberment of rabbits for the purpose of human consumption. If you find this offensive, DO NOT request to be added to the group roster. Backyard Meat Rabbits– This is a MEAT rabbit group. We breed and grow rabbits to be EATEN by both humans and animals. We see rabbits as LIVESTOCK. 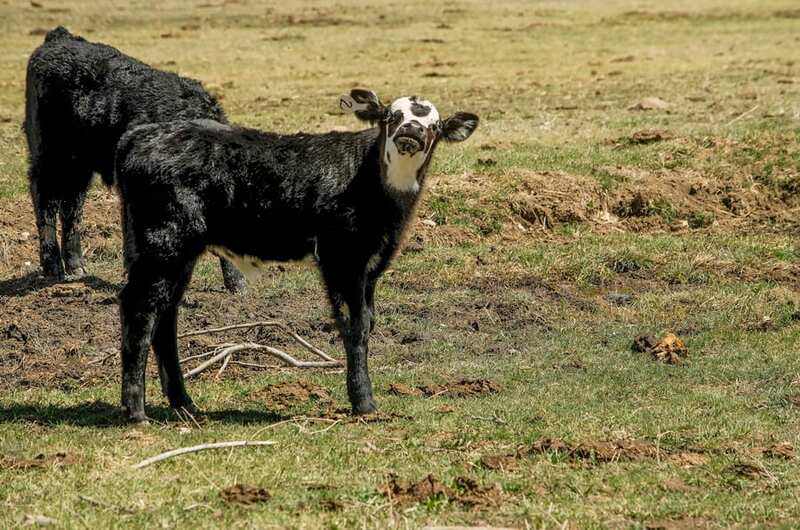 Show Cattle, Club Lambs and Show Pigs– This page is for livestock, sheep, goats, cattle and hogs. Commercial breeders are also welcome. You are more than welcome to post livestock equipment for sale as well. Sales and breeding are welcome!!! Nigerian Dwarf Goats-Dairy Side– This group was created to discuss conformation, milk and genetic improvements LA/ DHIR/DNA and SG programs. It also includes discussion on showing and tips. We love show win and milking awards brags. Goat Milk Groupies– All things Goat milk related. Cheese, soaps, lotion & foods. Share recipes, tips. Even talk about Dairy goats. Goat Vet Corner– Goat Vet Corner is a place to ask questions of veterinarians and get a veterinary perspective on your goats’ medical and health needs. Only vets answer questions, not members (read the pinned post for rules). Women in Beekeeping– Women in Beekeeping is an online gathering of bee-loving ladies. Sharing info, stories, advice and encouragement. From novice to pro, we welcome you! Beekeeping for Beginners– Beekeeping for Beginners is a group where you can learn more about beekeeping, ask questions from experienced beekeepers, and hopefully even learn something new if you’ve been beekeeping for years. Beekeeping Basics– Catering to the new beekeeper in all of us. Basic beekeeping practices are encouraged, but all beekeeping discussions are welcomed. Beekeeper Builders Corner– Safe friendly place to post your pics, ask DUMB questions, show off your projects, teach each other how to SAVE money, help others not make the same mistakes you have made, collaborate on wood projects relating to beekeeping! Have fun, no POLLENTICS! The Backyard Butcher Shop– This page is for people who want to learn, share, or talk about different methods of butchering animals as well as all homestead living questions and just funny stuff like rabbit kilts. Pastured Pigs for Meat and Profit– Thanks for joining. This group will focus on pigs for meat and profit. Not pet pigs….mini pigs…confinement pigs. Pasture if we can get it. More for the advanced pork producers. But if your learning please feel welcome and ask questions. Homemaking Tips– This group is for people interested in homemaking tips and ideas. Hot Process Soapmaking– My vision for this group is a learning forum, one which everyone feels free to share their techniques and expertise, which will benefit all of us in our hot process journey! Soap Making– This group is for soap making enthusiasts that want to connect with other soap makers to share tips on making beautiful handmade soaps. A place to network, ask questions and learn. Soapmaking with Natural Ingredients Forum– Welcome to the most innovative Natural Soapmaking Forum. We learn from each other. We love to Experiment using Nature. That’s what makes this Group so different to the others. We aren’t here to make money, just share skills. 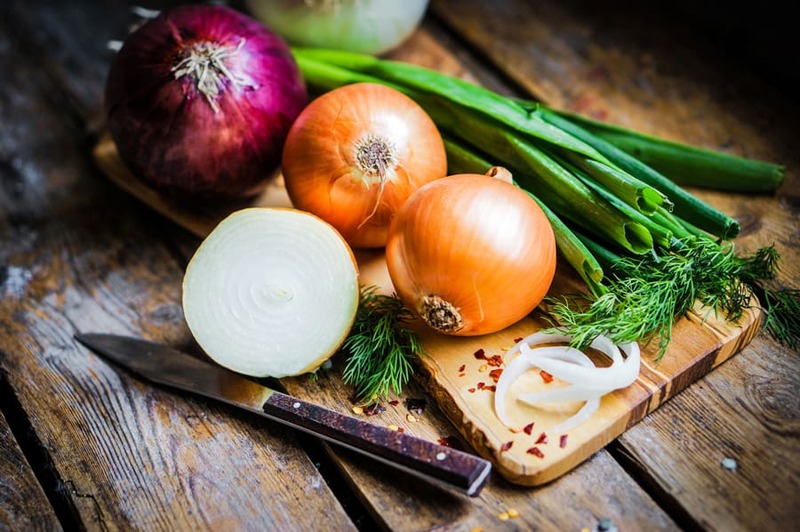 Wholesome Homestead Recipes– Wholesome Homestead Recipes is a group designed to help homesteaders connect and share real food recipes. It is also a great place to ask for recipe troubleshooting and support. Sausage Making and Meat Curing– A group where facebook users can share recipes on making and cooking with sausages and curing meat. Old Fashioned Cooking, Baking & Recipes– We need a collection of Family recipes for cooking, baking and grilling. Old family recipes that been used in years. New ideas and different ways of COOKING, BAKING and GRILLING. Candle Making for Beginners– This is a friendly group where in addition to sharing your experiences, you can ask for help and advice from others. Recipes for Homesteads & Sustainability– A sub group for Homesteads and Sustainability. The same rules apply. This group is for sharing all the wonderful ways to use, prepare and preserve all of our homestead items! Old Paths to New Homesteading & Self-Reliant Living: Fiber & Thread– Fiber & Thread is a Sub Group of Old Paths to New Homesteading & Self-Reliant Living. Here we will share: -Old Fashioned & Traditional Clothing. – Sewing – Knitting – Crocheting – Raising Fiber Animals – Dying Fibers – Weaving – Spinning. Maple Syrup Making– This is a group for maple enthusiasts… those who tap hundreds of trees a year to those who just want to ask questions about the whole process because they may have a tree or two they’d like to tap. From those who have a sugar shack and large evaporator, to those who just collect a little sap from one tree in a milk jug. 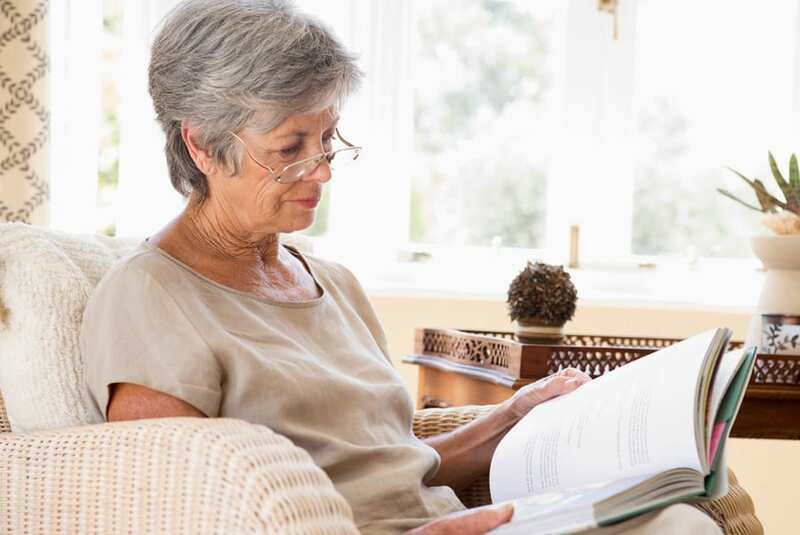 Prepared Ladies– Everything related to being prepared and self sufficient. Off-Grid, Survival, Preppers, Hunting, Weapons & Medical– This main page is for tips, tricks, advice, support and a bit of showing off as it relates to off grid living and those working their way towards it. SHTF Prepping & Survival– “SHTF Prepping and Survival” is a group of regular people with common sense and the will to survive & share ideas. You never know when it’s going to happen so come and join us if you want to be ready for whatever is thrown our way. Prepping for Beginners– If you are new to prepping and the preparedness / survival lifestyles, then this is the place for you. We are here to mentor and help instruct anyone who is new to prepping or to those simply wanting to learn more before diving in. 21st Century Prepper– We are NOT a Doomsday Prepper page. We do not get people to prepare through the use of fear. We are here to educate ourselves and the others in our lives. We prepare because it makes sense to be responsible for yourself and those in your family and those around you. Are there dangers out there beyond our control, YES, but just about everything is beyond our control, so having a means to deal with those dangers and emergenices is our goal. Canning– We are a group of canners who like to share our experiences with canning. We are not experts, the posts you will read are submitted by members and since none of us work for/are associated with the USDA we advise you do your own homework before trying anything you see here. Canning Recipes– This group is for the Sharing of Canning Recipes. Keeping It Real– A group focusing on the preservation of food for home storage and use. Techniques and recipes for canning , dehydrating, fermenting and curing. Dehydrating Divas & Dudes– A friendly place to share dehydrating ideas and recipes. We are an inclusive group with members worldwide from all lifestyles, if you have food to dry, we’ll help you try! Canning, Food Preservation, Dehydrating– Share your questions, answers, recipes for Canning, Food Preservation, Dehydration. 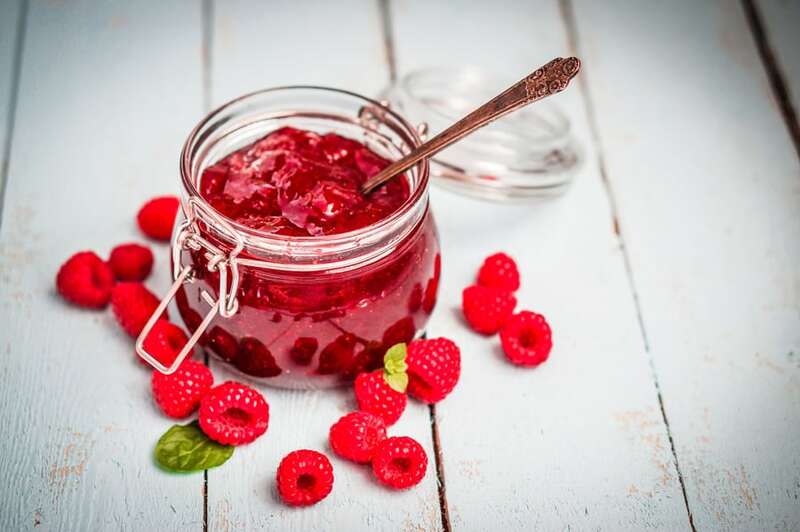 Safe Home Canning and Food Preservation– This is a canning advice group run by trained Food Preservation specialists. We are here to help with canning and preserving questions as well as share safe recipes and ideas. We all share a passion for food preserving, and believe in preserving for better quality food, for economy, and for good health. Canning, Dehydrating, Freeze Drying-Safely– Welcome! We are here to practice only safe methods of canning, dehydrating, freeze drying, freezing, smoking and curing as set forth by the USDA, the NCHFP, the Extension Offices, Ball Blue Books, SB Canning, SB Dehydrating and Dehydrate2Store. 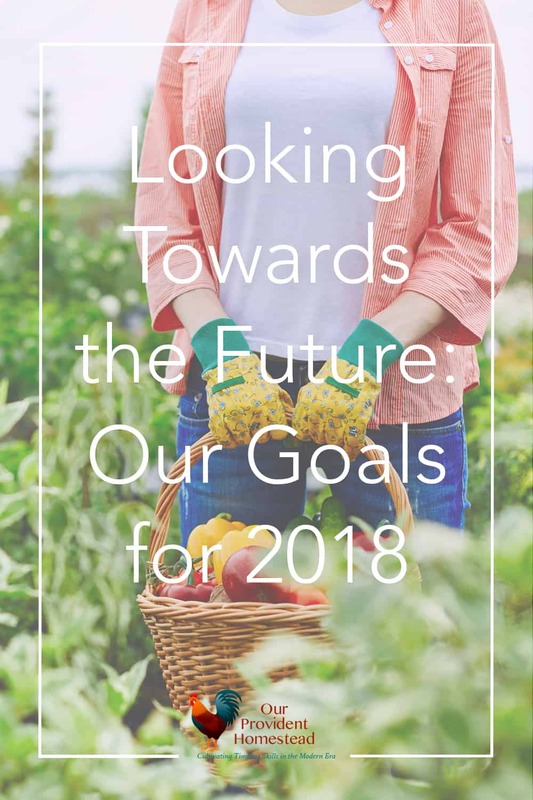 Greater Philadelphia Gardening & Homesteading– We would like to welcome everyone, regardless of experience level, to join in the discussion about how we can grow our own food, live sustainably, and beautify our communities. Container Gardening & Vertical Gardening– Many people are interested in good ideas for container gardening and/or vertical gardening. The best way to learn about this is to see good photos with a clear caption, constituting fantastic documents for all those looking for new ideas. Of course, this is not every homesteading related group on Facebook. That would be impossible to gather. I have purposefully not included groups that you have to buy something in order to get in to or that are not family friendly. But I hope this list helps you find a community you can relate to and feel comfortable commenting in regularly. When used right, social media can help us not to feel alone in this world. It can help us find like minded people that can help us and we can help them. That is the goal of this list. Do you have a group you would like us to add to the list? Please let us know in the comments below. And if you found this post helpful, please share. Thanks!